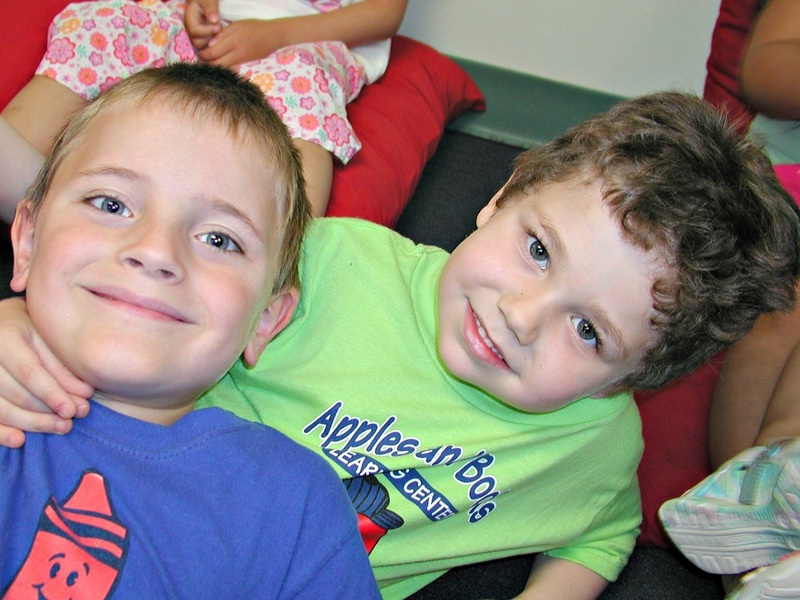 Our highly academic Full Day Kindergarten Program is for students who are turning 5 years old by October 1st. The children will be immersed in a developmentally appropriate, yet academically challenging, learning environment. It will also include writing, phonemic awareness, reading readiness, math, science and social studies using manipulatives, investigation, experimentation and creative expression. The kindergartners will be prepared for more abstract skills required in the first grade such as, reading, writing, and formal mathematics. They will be instructed in phonics, phonemic awareness, reading, addition, subtraction, measuring, graphing, time telling, counting coins, the scientific approach, social studies and Spanish. They will have the opportunity to reinforce the skills they acquire by sharing them with their younger peers. This form of cooperative learning has been proven to better reinforce learned skills and to develop a sense of confidence in the children. In addition, students will create artworks and projects that are connected to the skills we are learning while also allowing for creative expression. The class size will be limited to 15 students and taught by our kindergarten teacher, Miss J, a NJ State Certified teacher with her Master’s Degree in Child Development and Early Childhood Education in Kindergarten through Third Grade. Miss J imparts a love of learning and sense of community in the classroom, while providing a “child-centered” approach to learning in a Christian environment. "For any parent considering the program, we would say that sending our son to kindergarten at Apples and Books Learning Center was one of the best decisions we made as his parents". of learning during their first formal year of school while they are in my class."